Is natural gas the right option for your home? A number of factors need to be considered when making this determination. 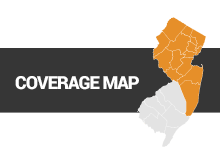 First, are there currently gas lines and meters in your New Jersey home or area? If not, the cost and timeline of converting will be greater. Second, are you in a financial position to cover the upfront conversion and installation costs? While the monthly cost of natural gas in NJ is significantly less than that of oil, the initial financial outlay involved in converting to natural gas is greater than the cost of using oil to heat your home. Lastly, does your county have the required gas lines for a natural gas heating system? An experienced NJ oil to gas conversion company can evaluate your home and assist in determining whether natural gas is right for your residence. Reduced Costs: Data indicates that natural gas is up to eighty percent less expensive than oil. Furthermore, nearly ninety percent of the natural gas used in heating comes from the United States. This means that you are not at the mercy of fluctuating prices that result from unstable international relations and shifts in the global economy. Additionally, your costs are lowered by the fact that there is no need for oil deliveries. The gas is piped directly into your home or building. This saves time and money. Tax Benefits: By switching to natural gas, you have the opportunity to install high-efficiency heating equipment. These new equipment options often come with a host of tax credits and rebates from the utility company. Environmentally Friendly: Studies have shown heating homes with natural gas to be better for the environment for a number of reasons. First, natural gas heating burns one hundred percent of its fuel. There is no leftover residue or particles to clog the chimneys or the environment. Additionally, natural gas has been shown to produce fewer emissions of sulfur, carbon and nitrogen than oil. Lastly, natural gas has been shown to help reduce smog, acid rain and greenhouse emissions. Natural gas offers a host of advantages to home and building owners. There are, however, a few drawbacks that require careful consideration before embarking on the process. Contact an expert at Argent Plumbing, Heating & Air Conditioning today to discuss your specific heating needs and determine whether a natural gas conversion is the best heating solution for your home. Homeowners can call 908-286-1920 to speak with an Argent expert immediately.